Dragging your feet about website marketing? 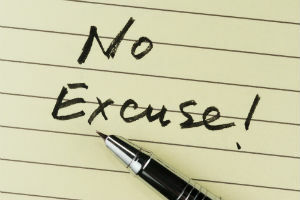 Here are the top 3 poor excuses for not taking advantage of this important marketing tool. 1. “I’ve been practicing for 20+ years and have never needed one.” If I had a dime for every time I’ve heard this one! True—there are advisors practicing today who have never had a website because they’ve never “needed” one. I’m assuming these are the same advisors who hung on to the pager too long because they “didn’t need a cell phone.” Once they learned to use that brand new cell phone, though, I bet they couldn’t function without it. The adoption of new technology is often inevitable because in most cases it adds real value. And a great website adds value by helping you connect with your ideal client, making you look really great online and helping you win new business. Consider this: What if you had had a website for those 20+ years? Or what about for even one year? Don’t underestimate the impact a compelling online presence can have for your business. Business doing well without a website? Great—but just imagine what it could be with an awesome website. 2. “I get all of my new clients from referrals.” I moved toVancouver,BC, fromGeorgia in 2012. Every time I returned home, I would visit my family dentist—until recently. I actually asked around and got plenty of referrals for dentists inVancouver, and what did I do with those names? Googled them. It’s a new fact of business life. The first thing a referred prospect does is Google your name to find information about you before picking up the phone. (Nearly 90 percent of Americans do this today). If your prospect doesn’t like what she sees (or can’t find any information at all), don’t expect a call. Here’s a short homework assignment: Google yourself! What shows up on the results page? View this information from your prospects’ perspective. It’s really great when you get a referral, right? Make sure you’re making a positive first impression for anyone searching for you online. An impressive online presence (of which your website is an integral part) might actually result in more referrals. 3. “Websites are money-suckers.” Here’s the thing: Some websites are indeed money-suckers. Marketers are always saying that your advisor site needs to be current, fresh and up to date. If you have to pay someone every time you update your site, then it may well be sucking up a lot of cash. But from my (marketer’s) perspective, a great website is one that adds value to a firm. Does your website help you earn new business? Connect with your existing clients? Communicate your expertise and experience? Help create a great first impression? A good website will deliver a strong ROI. If you have a website that’s draining your marketing budget without bringing in new business—or, worse, no website at all—it’s time for a website overhaul.